When migrating a Document Set from a source to a destination, you do not see the same version number. 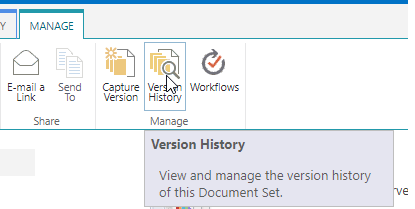 ShareGate Desktop does in fact migrate the correct Document Set version, but it does not update the version number (ShareGate Desktop does not update versions for folders with specials values). So the number you see is an increment for each Snapshot generated by SharePoint. Snapshots are the actual versions numbers for Document Sets. You can access them in Manage - Version history. In this section, when you compare the version numbers at your source and destination, you should see that they match.